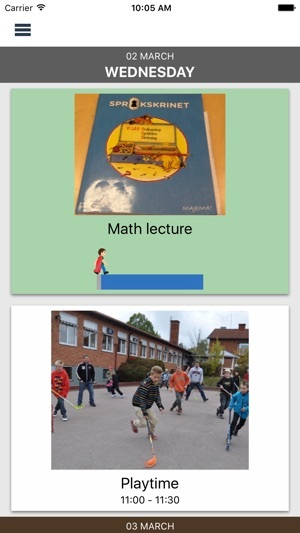 DayCape is a app to help children with visual structure. It very simply displays with images and visual time what tasks needs to be done during the day. 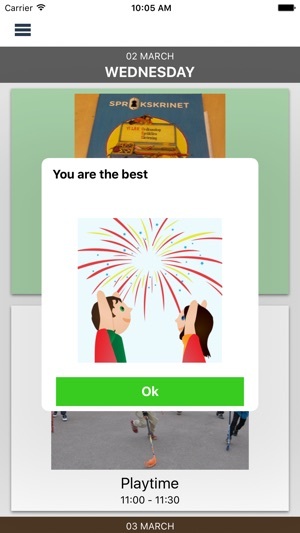 Also it enables an app and web tool for supporters to the child such as parents, teachers and mentor to plan and send tasks directly to the child's app. This can be used to plan the day for whole families or school classes. This is an app especially created for supporting children with diagnoses such as autism and other diagnoses. But it’s also a great support for all children with their daily life. Also it’s great support even for adults with need of extra personal assist. It’s based on research, interviews and usertestings with families with autistic children, schools that provide special care and other support organizations for autistic children. - Choose of images from your own phone or the DayCape library. - Visual colored time tracking. - Written messages for each activity. 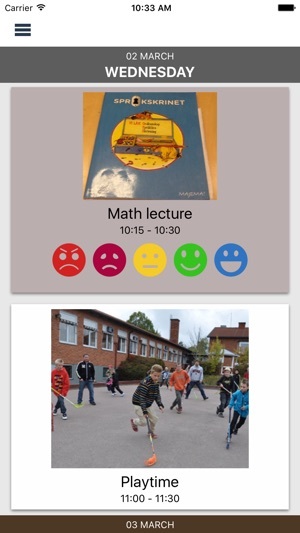 - Moodshare helps children communicate how they feel about an activity. 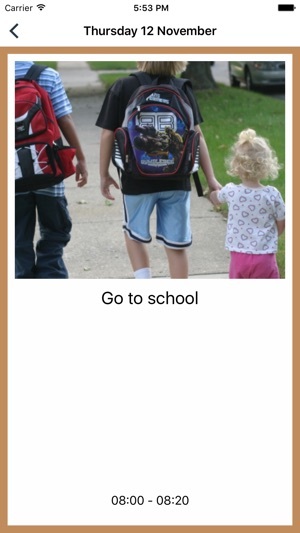 - App and web planning tool for parents, teachers and mentors. - Mobile adaptive web planning tool. - Plan for multiple children management in the web tool. - Manage multiple supporters in the app or web tool. - Image uploading and choices from illustrations and pictograms. - Secure connection for the child without unnecessary logouts. We are a small team dedicated to create change for children in special need and are supported by the children right organization Reach for change. If you have suggestions on how we could improve our support feel free to contact us. DayCape offers free use for children in and an auto-reenable subscription feature for Parents and Teachers to easy plan the day for their children and students. A subscription gives you access to planning tools in the app and on our webb plattorm at www.daycape.com. - Parent subscription enables you to plan the day for 3 children and invite more people to help planing the day. - School subscription enables you to plan for up to 15 students and invite teachers and parents to help planing the day. account without any need to start a subscription. Only after the 30 days trail you need to subscripts to continue access Parent and Teacher features. The subscription charges every month from when you decide to start an subscription. After feedback from you using DayCape, we've changed the time selector so it sticks every five minutes to make it easier to choose time. Men hade varit bra om man fick upp en notis när skärmen inte är på. Då inte bara ljud utan även en bild notis. Så det är lättare att även se när saker ska göras utan att behöva ha skärmen upplåst. Annars verkligen kanon! 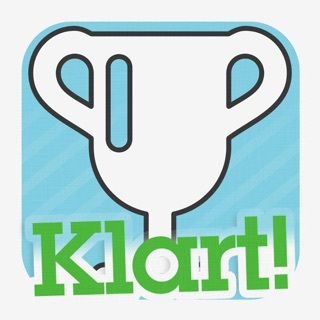 Klart! Bli superstrukturerad på 31 dagar!